*With approved credit. Call us for details. Get your dream hot tub or swim spa today! 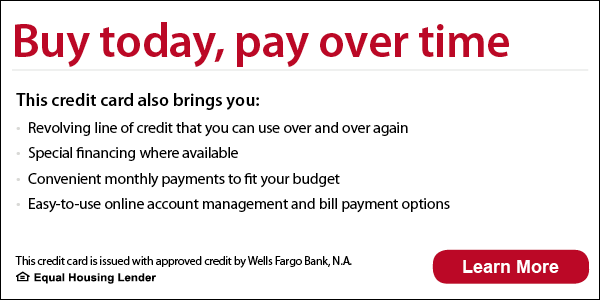 Take advantage of this special financing offer through Wells Fargo Bank, N.A., click on the link below to learn more and apply online! Declined for financing? Contact our office by phone at 814-438-2512 to discuss other payment options available.